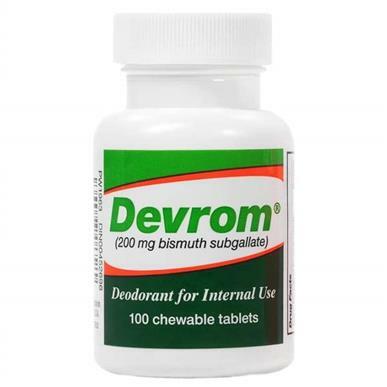 Devrom® internal deodorant is an effective and fast acting flatulence deodorizer. It is an easy and inexpensive remedy for intestinal gas odor. Sold by the bottle, 100 tablets per bottle.